The Trouble Pilgrims are: Steve Rapid on voice and theremin, Pete Holidai on lead guitar and vocals Johnny Bonnie on drums and vocals Tony St Ledger on rhythm guitar and vocals Bren Lynott on bass. The Trouble Pilgrims formed in 2013 with the intention of continuing the legacy of The Radiators from space while having a main focus on recording and performing brand new material. To date they have released two singles, The double A side debut of Animal Gang Blues c/w Who Do You Love? followed in 2015 by Instant Polaroid [The Man On The Bridge] On the live front the band have developed a reputation for delivering tight and exciting live shows. Some high profile special guest appearances [The Boomtown Rats, The Undertones] have cemented their reputation and broadened their appeal. The band were invited to play at the prestigious Kilkenny Roots Festival in 2015 and such was the response to three appearances over that weekend they were booked for this years festival which was equally successful. The band are currently preparing new material to record for a debut album…so watch this space!! If you’re looking for Trouble, you’ve come to the right place. Trouble Pilgrims will continue in a similar vein of high-energy, primal, spacey rock and feature songs from the Radiators four acclaimed albums as well as from Pete Holidai’s solo album The Devil’s Guitar alongside well chosen covers and new material at upcoming shows. Under their previous guise they were the first rock band to play the revamped Croke Park when they supported U2 there. The Radiators from Space with Gavin Friday and Brush Shields at The Philip Chevron Testimonial Olympia Theatre Dublin. They have also graced the stages of The O2 in Dublin, Oxegen Festival, London’s Dingwalls and the Olympia Theatre amongst many other more intimate venues. They band will return to the stage soon to enliven, experiment, enthuse and entertain audiences who may be looking for some (rock ‘n’ roll) trouble on their pilgrimage to enlightenment. 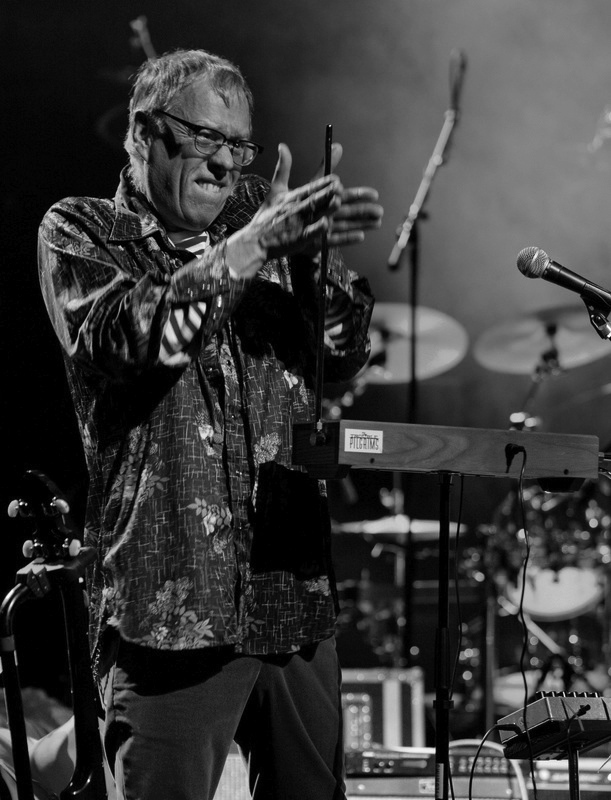 Pete Holidai was a founding member of The Radiators from Space and after the band was put on hold occasionally worked with Steve Rapid’s SM Corporation. He honed his production, management and playing skills with such bands Light a Big Fire, Engine Alley and Junkster whose album he co-produced at the famed Bearsville Studio in Woodstock. His talent in this area was publicly acknowledged with the Smithwicks / Hot Press Producer award 1991. He was fully active in the return of The Radiators and co-produced their two subsequent albums Trouble Pilgrim and Sound City Beat. In 2011 he released his solo album The Devil’s Guitar. 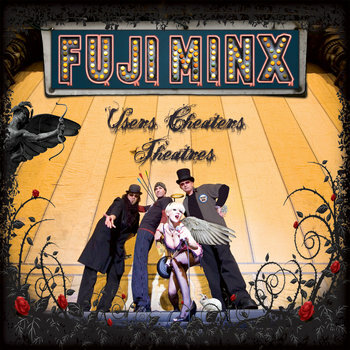 An album that explored his interest in Lounge and early Space Rock music. 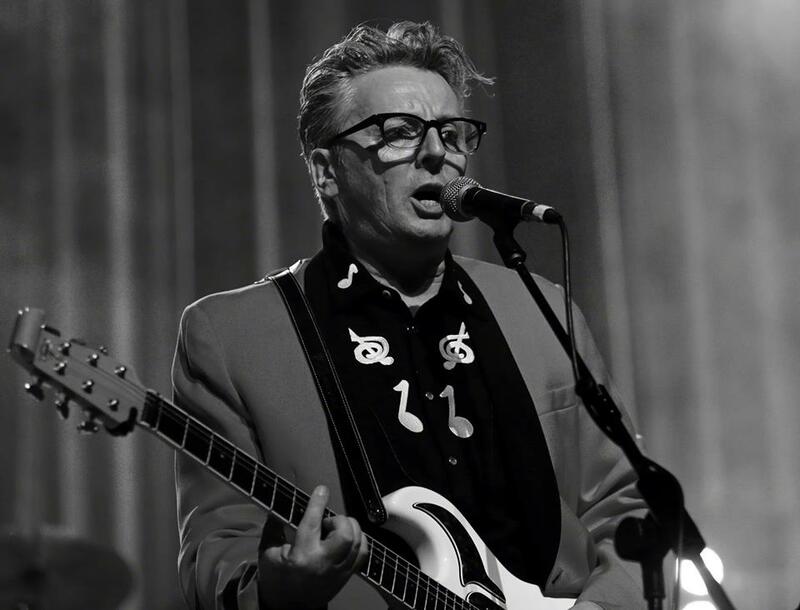 He remains a disciple of Joe Meek and has incorporated many of these influences into his playing, production and writing with Trouble Pilgrims, a band that continues to establish its own identity following the untimely end of the Radiators due to the death of co-founder Philip Chevron in 2013. 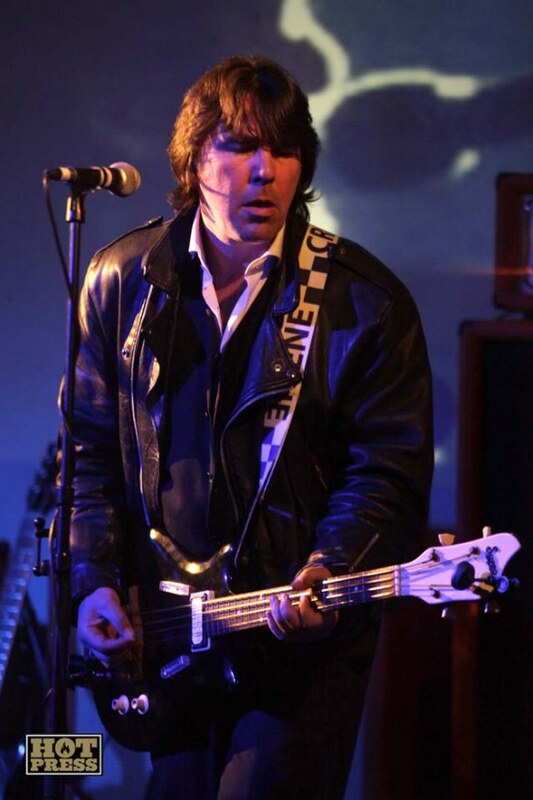 Tony St Ledger, The Pilgrims newest member is a guitarist and bassist St Ledger who’s playing career goes back to his time with such bands as Vatikan 3, The Deep, Les Enfants, The Mystermen and Blue Russia. The latter toured in Europe and recorded with noted producer Tim Martin and had tracks mixed by Detroit producer and Van Morrison band member Jerome Rimson. Based in London Blue Russia worked with Led Zeppelin manager Pete Grant and Adam and the Ants manager Don Murfit. After gigs and residencies in renowned London venues but with no real deal in the offing St Ledger returned to Dublin in the late 80s and used the experience he had gained writing and in production to write and record music for both film and television commercials. St Ledger reignited his passion for the creation of music when the opportunity arose to join the Trouble Pilgrims. Now a new journey has begun. Steve Rapid music and graphics were the twin peaks of Steve Rapid’s ambitions growing up and despite having no formal training in either discipline he achieved success in both. As a founder member of the Radiators From Space he, initially, took on the role of graphic designer, singer and manager for the band. Once he joined forces with Pete Holidai and Philip Chevron along with bassist Mark Megaray and drummer Jimmy Crashe they had a viable musical entity. 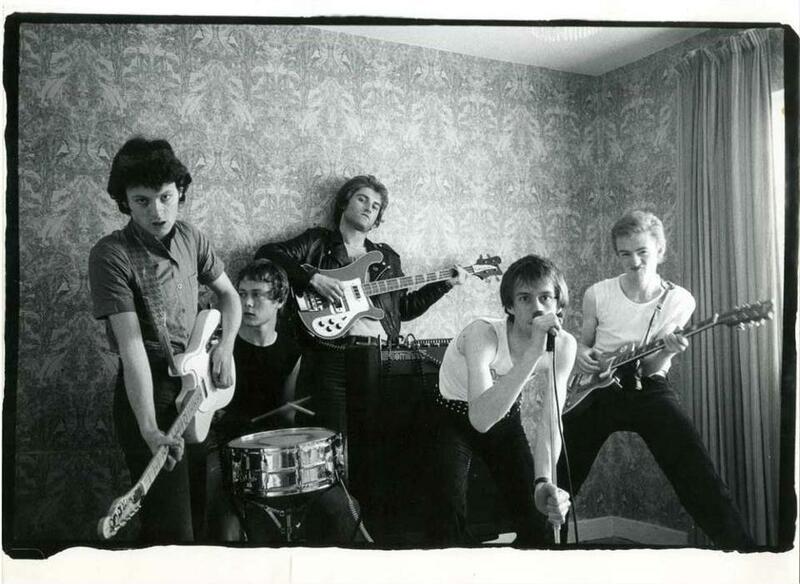 Their debut single Television Screen was the first punk single to make a national Top Twenty position in the world. For a variety of reasons Rapid left The Radiators from Space during the making of their debut album but stayed in close contact with the other members. He rejoined them in 2003 for an appearance at a Joe Strummer tribute gig and remained with the band until its final performance in 2013. Along with Pete Holidai and longtime Radiators drummer Johnny Bonnie he formed Trouble Pilgrims in a line-up completed by Tony St Ledger and Paddy Goodwin. Between leaving and rejoining the Radiators from Space Rapid formed an all electronic band that used a number of different names and line-ups between 1979 and I989. They released a sought after 7″ single Eyes On Fire on Revolving Records in 1985 and two tracks on a Comet Record Tape Compilation in 1988 and later two demos were released on the Irish post-punk compilation Strange Passion. They also reformed in 2013 and played at the Electric Picnic and in the Grand Social Club and a 12″ single is due shortly. In the Trouble Pilgrims, Rapid brings a punk sensibility and electronic ambience to the bands primal rock sound. Johnny Bonnie as a sticks man to the stars Johnny Bonnie has played an integral part of the Dublin music scene since the late 70s. 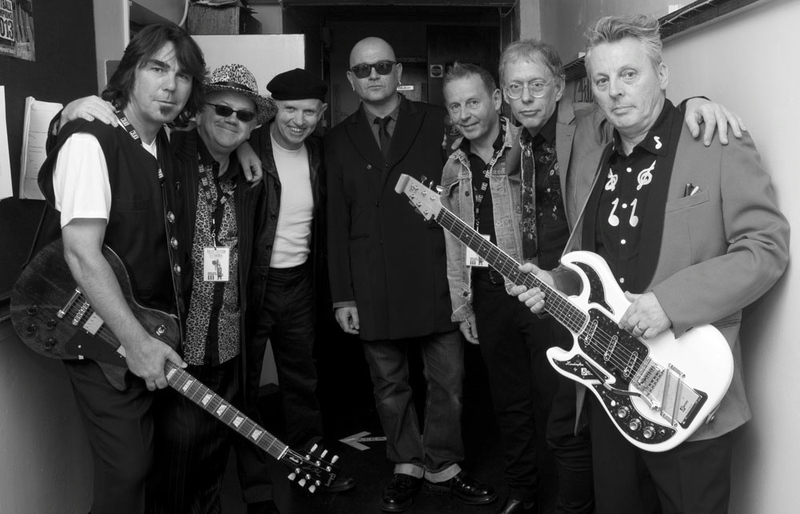 A bit like a who’s who guide to the capital’s bands his involvement began with Skank Mooks in 1978 and runs up to driving the beat behind the Trouble Pilgrims in 2014. Along the way he’s also drummed with, Deep Breath, The Blitz, The Noise Boys, The End (with then singer Tom Dunne), The Cathedral, Those Handsome Devils (with Sean Foy), The Baby Snakes, Max, The Gorehounds (in their three drummer incarnation), The Assembly (with Leslie Dowdall), The Kid Sisters, The Edsel Boys, Memphis Maniacs, Mary Stokes, Three Blind Mice, Scared Stiff (with Dave Finnegan), Oona and The Devils, Ramones tribute band Pinhead and Donna Dunne. Johnny has also been closely involved with the Irish rockabilly scene, guesting with many bands on that circuit. It safe to say Johnny likes hitting drums and in 2004 he joined the Radiators (then with the suffix Plan 9) a position he has held longer than original drummer Jimmy Crashe. He now adds the rhythm sticks that percussively chart the journey of Trouble Pilgrims to territories new. They know that there is a safe hand on the tiller. Bren’s route to becoming a bass player was heavily influenced by the bus conductor on the number 79. As Bren headed out to his first rehearsal with The End, the conductor didn’t like the look of him and didn’t let him on the bus. By the time Bren got to rehearsals late, the guitar slot had been allocated to Cormac Wright and all that was left was the bass and an introduction to the legend that is Johnny Bonnie. A rhythm session for the ages was forged that still pounds the beat 38 years later. The End played many gigs and recorded demos in Alto and Lombard Studios, (with the soon to become legendary Kevin Killen as engineer), as well as a Fanning Session. During that period many paths would have crossed with Tony (in his Vatican III days), Pete (as a Radiator), and Steve as a legend. The End ended but sparked many an alternative with Tom joining Something Happens, Cormac heading to the states (where he now looks after The Legal Matters). Johnny and Bren joined The Cathedral and, when, Johnny went off to become a Handsome Devil, Mono (Paul Monahan) joined for a while before Andy Keating took over the drumming duties. Bren then played acoustic guitar and bass on some of Stano’s earliest forays into the studio as a solo artist. Having had great times in The Cathedral with Andy, Damian Williams and Eoin Freeney, Bren took a short break from bass playing. He was persuaded out of retirement 30 years later to play bass on ‘Being a Problem’, (a track on Stano’s last album). And it was thanks to Stano’s persistence and belief that Bren is back playing the Bass again. Bren went from stalwart Radiators/Pilgrims fan to the other side of the stagelights when he first played with Trouble Pilgrims at the legendary Kilkenny Roots Festival in May 2015. He played three 2 hour gigs in 22 hours, (having only had 3 rehearsals), and survived the vagaries of life on the road in Kilkenny (no burger, dodgy hotel room etc.). He was invited to join full time afterwards and is now proud to be the latest in a long line of distinguished bass players going back to the first days of the Radiators, and is especially privileged to be back in harness with Johnny. Trouble Pilgrims were Pete Holidai, Steve Rapid and Johnny Bonnie ( from the Radiators From Space ) with bassist Paddy Goodwin and guitarist Tony St Ledger. The band has emerged from The Radiators From Space after that band’s demise following the untimely passing of their friend and founder member Philip Chevron. Paddy Goodwin has been playing in bands since he got his first ‘Ringo Starr’ drum kit. Apparently the first actual sentence he ever uttered was “I want to hold your hand”. Whilst his parents thought that he made a lot of noise with the drum kit he graduated from that to playing the triangle and tin whistle in his school band to now making a tremendous amount of noise on both guitar and bass. 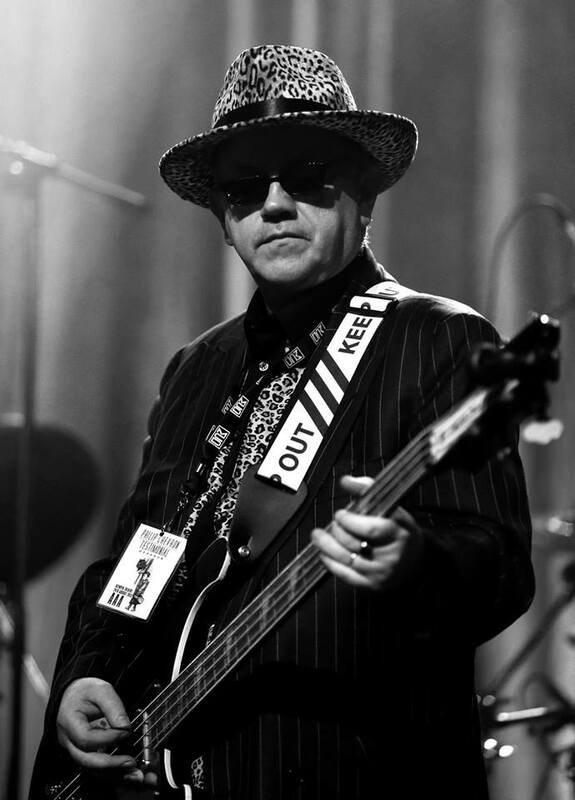 When the role of bass player with the Trouble Pilgrims became vacant Paddy lobbied for the role having been a fan of the Radiators from Space’s music and has since joined them onstage and in the studio on their pilgrimage. 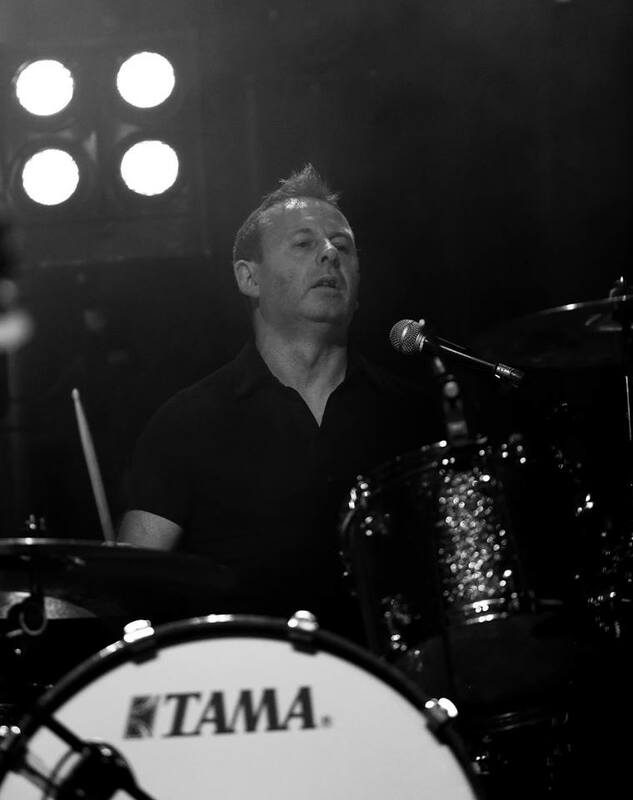 Over the years his band The Holy Ghosts has featured in a dazzling array of celebrated guest musicians – drummer Brian Downey from Thin Lizzy, film director Neil Jordan, guitarist Henry McCullough (ex Paul McCartney’s Wings and Joe Cocker), Johnny Fean, Barry Devlin, Charles O’Connor, Jim Lockhart and Eamon Carr of Horslips, comedian Pat Short, cartoonist Tom Matthews, actor Colin O’Donoghue and Tubular Bells producer Tom Newman. 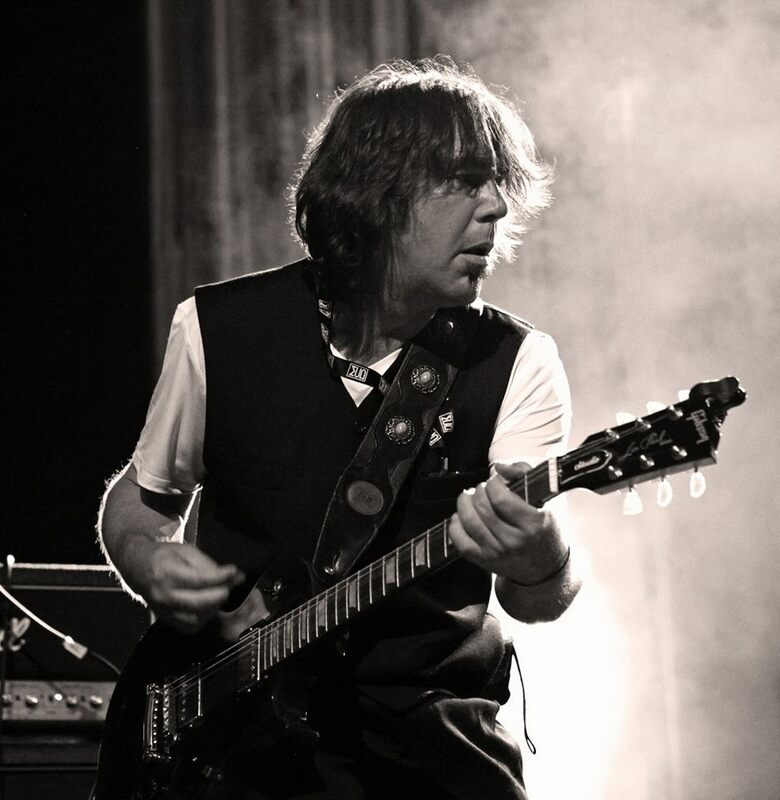 In 2008 Paddy produced and played on Henry McCullough’s album ‘Poor Man’s Moon’ which received much critical acclaim. 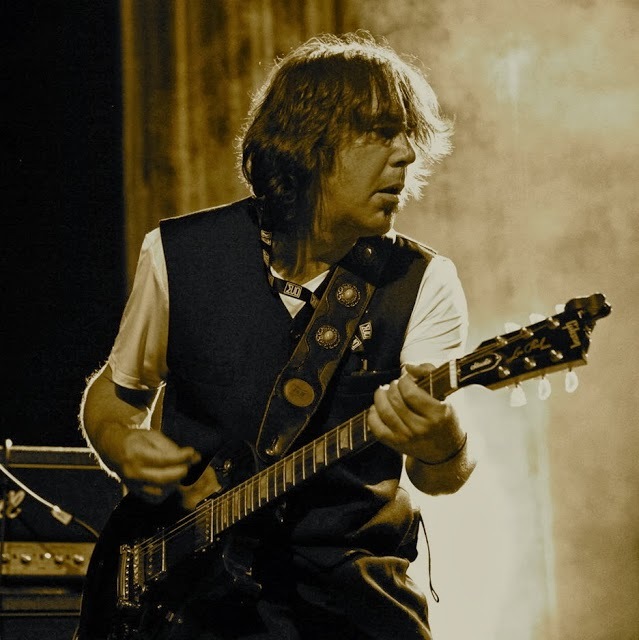 He is the only guitarist to have played on stage with all five original members of Horslips as well as the revamped band. Indeed he was a pivotal figure in the triumphant return of Horslips to the concert arena and recording studio after a gap of more than two decades. Paddy is also currently recording an album with various members of The Atrix featuring lyrics written by Tom Matthews. Paddy is allegedly the sensible half of the band ‘The Buck Eejits’ which consists of himself and author Pat McCabe. Laconically described as ‘Lounge Music for Lunatics’ they are threatening to unleash an album on the unsuspecting music public. This feeds Paddy’s habit of having to make a lot of noise on electric guitar. He has an amp which “goes up to 13”. Blue Russia a look and listen to some of the bands work in Dublin and London in the late 80′s.